The Facebook team visits 1AM to beast out a mural! Home/1:AM Production, Classes, Community, Mural Production, Team Building Workshops/The Facebook team visits 1AM to beast out a mural! 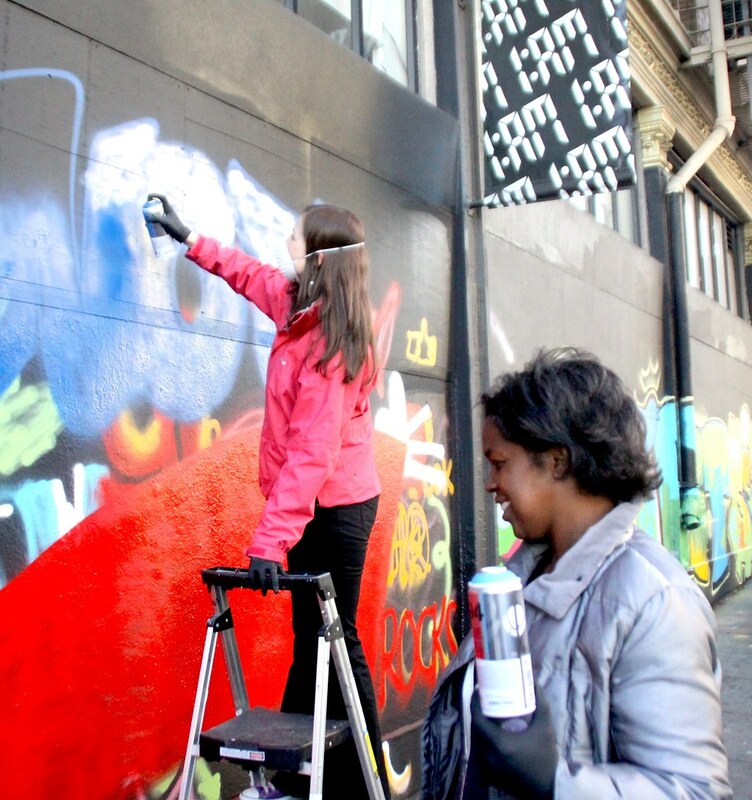 Facebook came by with a team of 27 to dive into the world of street art last week. 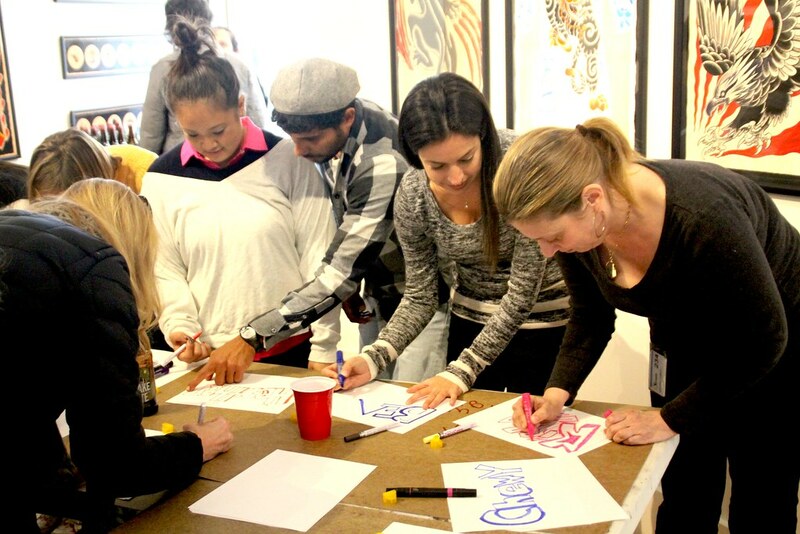 They had a happy hour while creating custom T-shirts and busting out a huge mural on our outside wall that says “White Space, Not Red Tape”! We hope to see you guys again soon! Book something for your team! Email Maya@1AMSF.com.